Can PMI arrange for my hotel reservations? PMI has secured discounted rates at Hyatt Regency Hotel. You may reserve your hotel accommodations directly with your hotel of choice. Accommodations are available on a first-come,first-served basis. The discounted rates are only valid until 15th June 2019. Whom do I contact with questions about my congress invoice? For invoice questions, please call +971 4 429 8480 or e-mail your inquiries to register@pmiafricaconference.com . Yes. Please choose the wire transfer payment option on the payment section when completing your registration online. Once you complete your registration, instructions on how to complete your payment will be sent to you. Please be advised that funds must be received and verified by PMI no later than September 08, 2019. Registration is not confirmed or complete until an attendee’s account is showing a zero balance. Attendees will not be permitted to attend sessions until any outstanding balance is settled. A credit/debit card is required to complete payment onsite. Must I pay a cancellation fee? In fairness to all conference participants, it is necessary to charge a cancellation fee when a participant cancels his / her attendance prior to the congress. Please see our cancellation / refund policy for fees associated with cancelling. Are group discounts available when more than ten people from an organisation attend congress? How do I claim PDUs for the congress? How do I file for PDUs? PDUs will be uploaded into PMI’s Continuing Certifications Requirements System (CCRS) within three weeks of the close of congress for keynote and area of focus sessions. Each attendee is responsible to select area of focus sessions prior to the session start and ensure that their badge is scanned at the start of the session to receive PDU credit for attending the class. 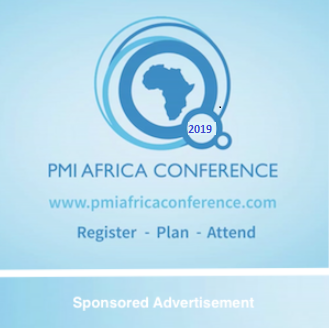 How many PDUs will I receive for attending the 2019 PMI Africa Conference? There will be 11PDUs awarded for the 2019 PMI Africa Conference. How will I receive my name tag and conference materials? You may pick up your name tag and conference materials on-site at the registration area. Will I receive a registration confirmation letter? If you register online, an e-mail confirmation will be sent immediately to the e-mail address you provide on the registration form. It is time for me to renew my PMI membership. Can I do that on the congress registration form? Membership renewals or reinstatements should be made by visiting MyPMI prior to completing the conference registration. Can I join PMI and register for the Conference at the same time? Yes, a non-member or expired member can purchase membership through the registration website. Simply enter the registration portal as a non-member. During the registration process you are able to add PMI individual member dues and the application fee to your cart. You will then be eligible to receive member pricing on conference. While completing this form will immediately entitle you to PMI member rates for conference registration, please be aware that your membership benefits will not begin until payment has been received and your application has been processed by PMI (approximately 120 hours, Monday through Friday). I registered on site for conference and did not get a Registration ID at that time. How can I get one? Registration IDs can be found on attendee name tags which are distributed at check-in. In addition, Registration IDs will be emailed to the e-mail address on file for those who registered on site.